SMI's System Engineering Department offers complete bottling and packaging lines equipped with cutting-edge technical solutions for energy saving and TCO (Total Cost of Ownership) reduction. 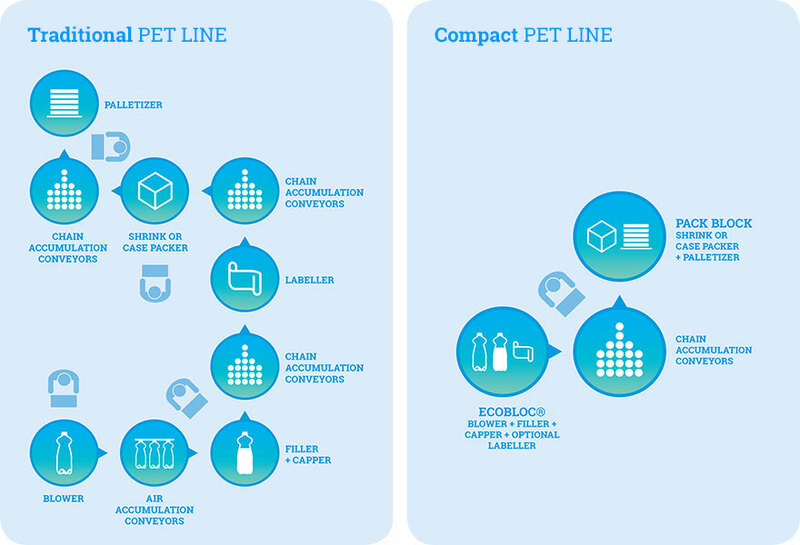 The innovations devised by SMI designers enable to dramatically cut the production costs of each PET bottle manufactured in the plant, thanks to specific devices designed to save energy and streamline production cycles every machine is equipped with. the second block, called PACKBLOC and specific for the end-of-line packaging, is composed of an automatic machine for secondary packaging integrated with a two-Cartesian-axis automatic palletizer. energy costs cutting, since only high-efficiency and low consumption motors are used.